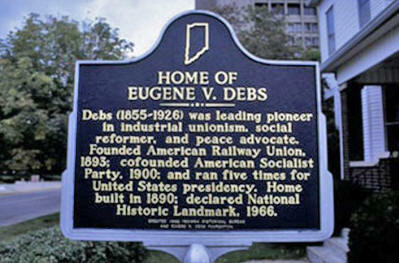 Eugene Victor Debs was born in Terre Haute, Indiana. Debs left school when he was 14 years old and took a job in the Terre Haute railroad shop, which paid him 50 cents a day for scraping grease and paint off locomotives. 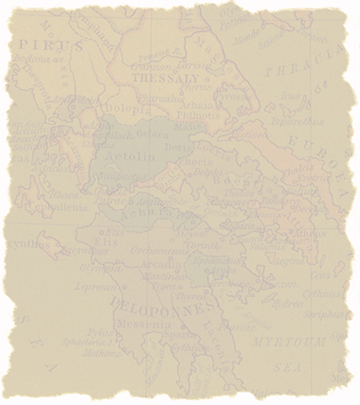 In 1871, he became a locomotive fireman. He joined the Brotherhood of Locomotive Firemen in 1875, and soon began serving as an organizer and recording secretary for the union. Debs was busy fighting for the workers and organizing their struggle. To this end, he became founder of the American Railway Union in 1893. Supporters of labor unions had a field day with the Pullman Strike, which lasted from May 11 to July 20, 1894. As president of the American Railway Union, Debs was the leader of the strike. For this performance, Debs was put in jail for six months, from May to November 1895. Eugene V. Debs was a member of the American Socialist Party, whose presidential candidate he was in the years 1900, 1904, 1908, 1912, and 1920, and which only made sense because Debs was a sturdy fighter and a terrific orator. The presidency never materialized for Debs. Instead, by fighting for labor and social justice, he managed to raise enough stink to get imprisoned for treason. On June 16, 1918, Debs spoke before the Ohio State Socialist Party Convention in Canton, Ohio, in which he stated his opposing opinion of World War One. Let's call this address the Emancipation of the Working Class speech or the Canton speech. The prosecution used the Canton speech as evidence in the case along with other of Debs' public statements on the war and his praise for men and women who had previously been convicted for disrupting the draft and for vocal opposition to the war. In September 1918, Debs was trialed in the District Court of the Northern District of Ohio, before Judge D.C. Westenhaver in Cleveland, Ohio. On receiving his sentence on September 18, 1918, Debs delivered his Address to the Court, said his views should be protected by the First Amendment. Debs appealed to the Supreme Court. Justice Oliver Wendell Holmes and his Supremes confirmed the judgment of the lower court and Debs was back in prison. The folks in Terre Haute were enchanted and in 1992, they decided to stick a marker into their soil.